Today we will introduce the last Farming Simulator 19 machinery review. 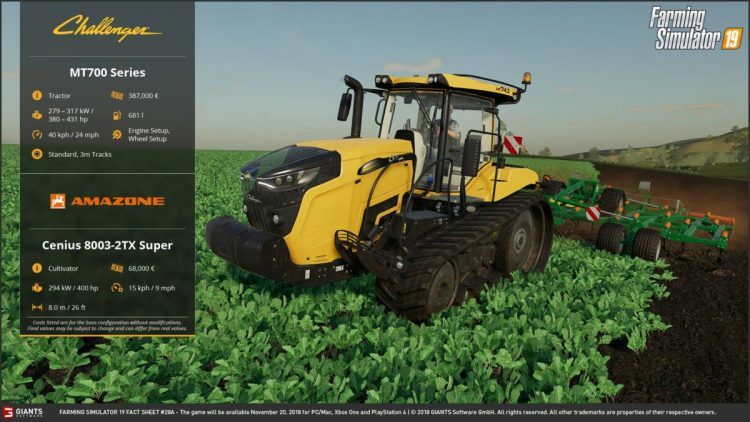 Farming Simulator 19 release date 20 November. The first vehicle of this small list is Case Axial-Flow harvester. Expensive, powerful and modern harvester will be the best friend when you will have large fields. 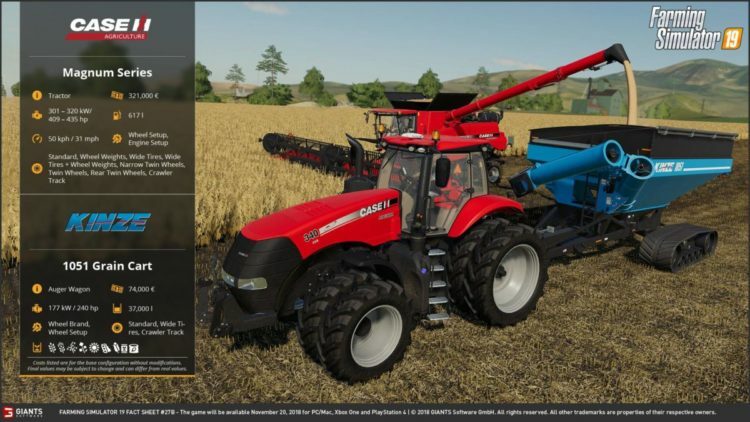 For this harvester, you can attach wide header for various crops. To better contact with the ground, this harvester can be with tracks (only front). Next one is Case Magnum Series tractor. The large red color tractor which can pull heavy equipment. This tractor has changeable wheels and engine. On the image below you can see how this tractor pulls Kinze Auger Wagon. And the last vehicle is Challenger MT700 series tractor. This tractor has changeable wheels, you can choose what to use, wheels or tracks. Also, in the same image, this tractor works with Amazon cultivator. 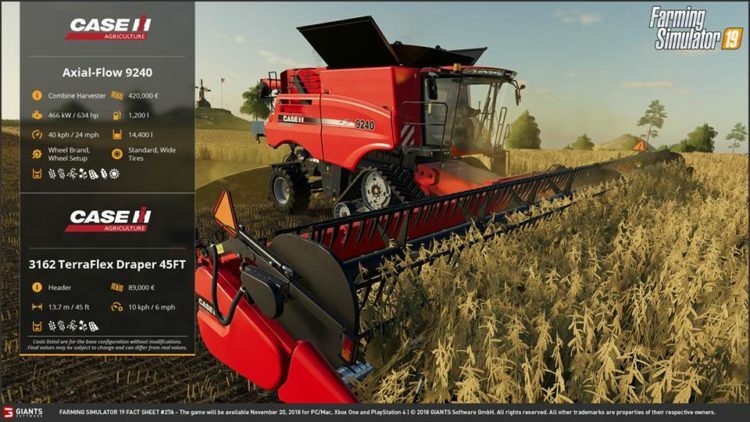 Ho acquistato FS 19 e devo ammettere che in alcune cose sono rimasto deluso specie nel sound dei veicoli, è ridicolo e poi, le mietitrici, basta una piccola salita che si bloccano.